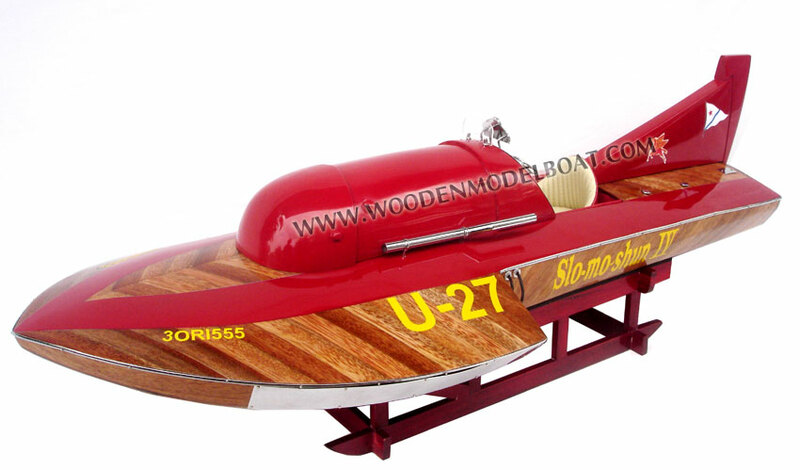 Our model is hand-crafted from hard wood with double planks on frame construction. The hull is hollow inside. This model is not a kit and ready for display. All the metal fittings and strips are brass chromed as stainless steel. Model comes with a base and also built ready for RC upon request. 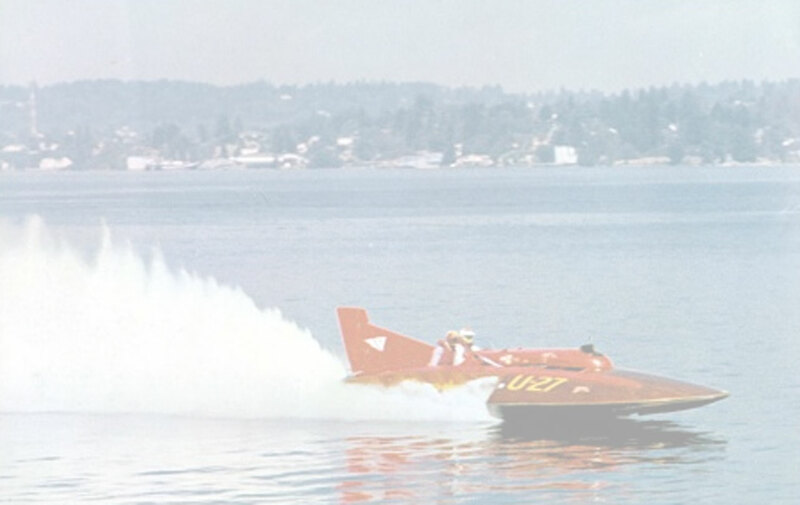 Early in the morning of 26 June 1950 a small red boat skipped across Lake Washington, near Seattle, and improved on Campbell's record by 29 km/h (18 mph). 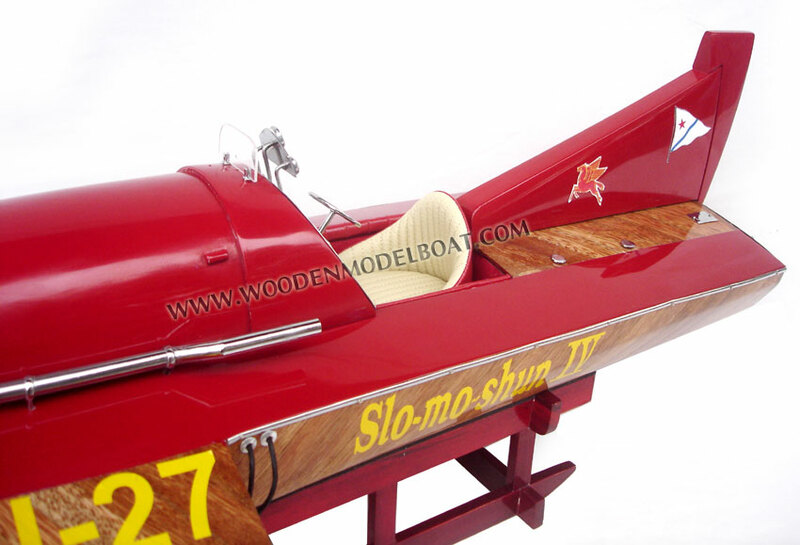 The boat was called Slo-Mo-Shun IV, and it was built by Seattle Chrysler dealer Stanley Sayres. 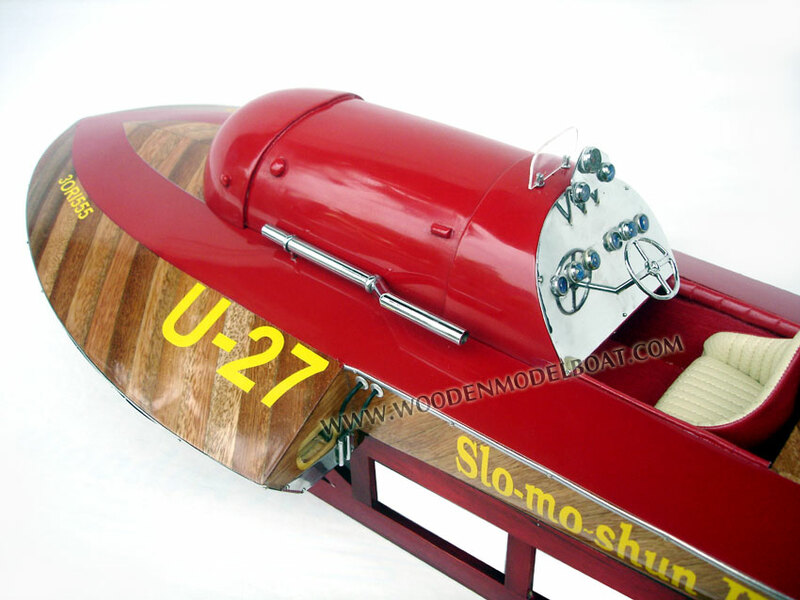 The piston-engined boat was able to run at 160 mph (260 km/h) because its hull was designed to lift the top of the propellers out of water when running at high speed. This phenomenon, called ‘prop riding’, further reduced drag. 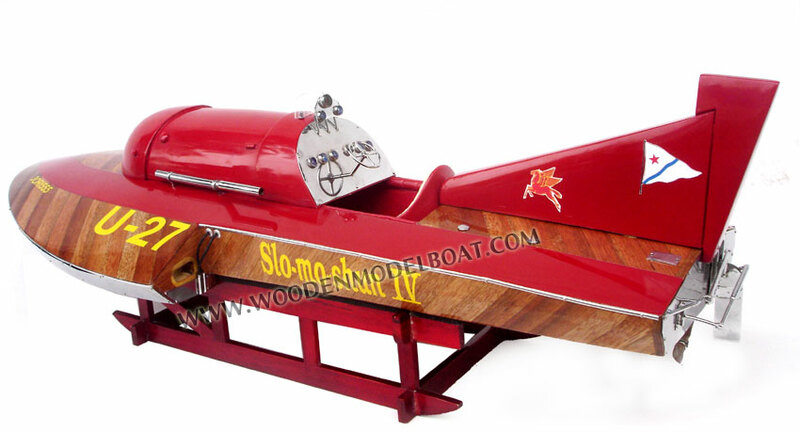 In 1952 Sayres drove Slo-Mo-Shun to 287.25 km/h (178.49 mph) - a further 29 km/h (18 mph) increase. The renewed American success persuaded Malcolm Campbell's son Donald, who had already driven Bluebird K4 to within sight of his father's record, to make a further push for the record. 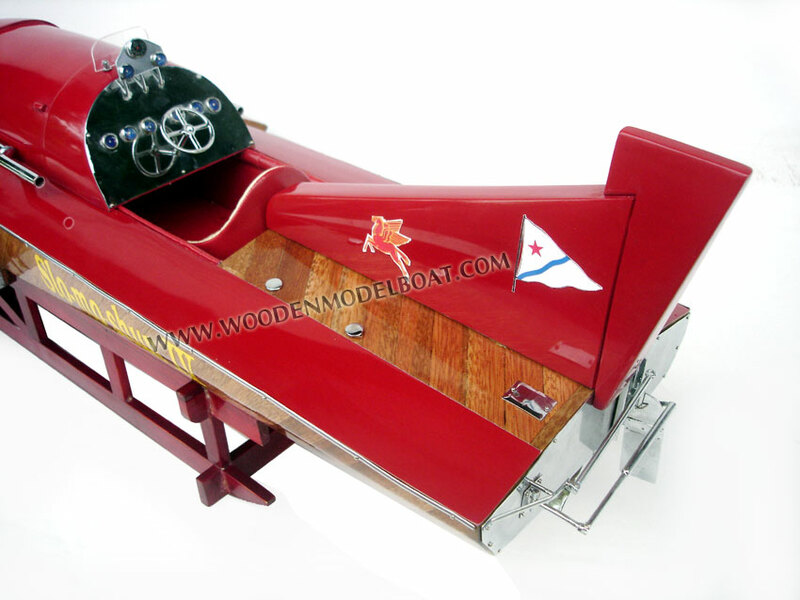 However, the K4 was by now 12 years old, with a 20 year old engine and Campbell struggled to run at the speeds of the Seattle-built boat. 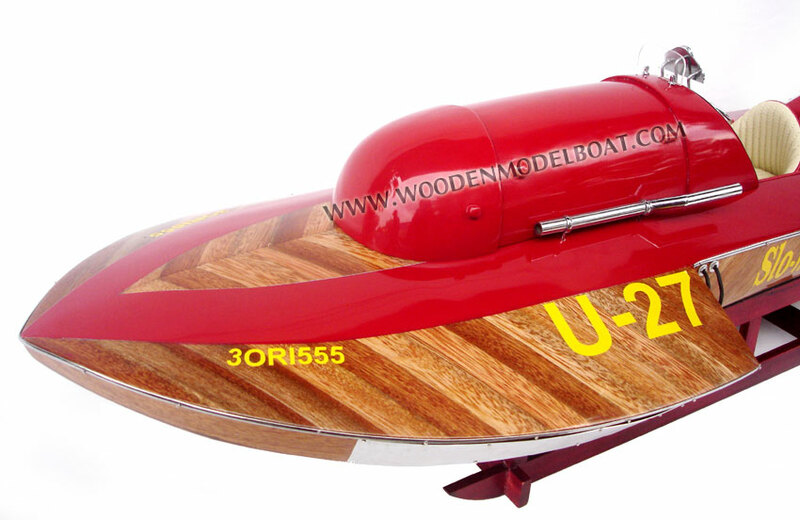 In late 1951 K4 was written-off when it suffered a structural failure at 170 mph (270 km/h) on Coniston Water.